Upon successful completion of the course, you will receive a certificate authorizing you to give official Maharishi Aroma Therapy consultations and to charge a fee for your services and newly acquired expertise according to the laws of your country. Prices are per person (in Euros). Meals include breakfast, lunch, and dinner every day of your stay. Tourist tax is included in all prices. Warm milk is served at the end of each evening meeting. (Note: there is no refund for no-show on breakfast, lunch, or dinner). Comfort and deluxe apartments are available on request. COURSE LEADER: The course will be conducted by Dr Nadine Thomas, and enriched by video lectures from Dr Rosie Geelvink, Vaidyas, and medical doctors. The course will bring a wealth of knowledge along with practical applications. Through the rich experience with the VedAroma essential oils, at the same time the course is a therapy for the participants. WHO CAN ATTEND: The course is open to Meditators practicing the Transcendental Meditation technique. To apply, please fill out the online Application Form. The Application Form should be received before 1 August 2016. The Island of Hvar is easily reached by ferry (1 hour 40 min) from Split, the second biggest city in Croatia with an international airport. 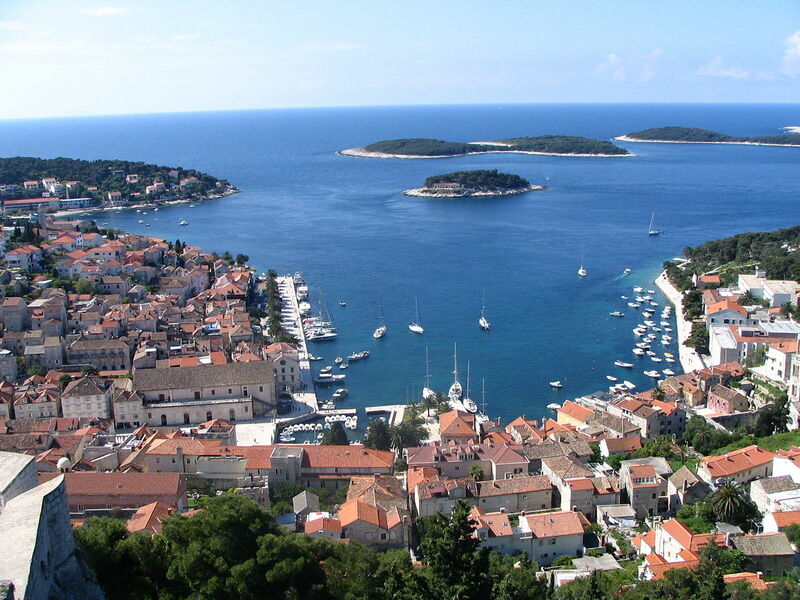 Inexpensive flights to Split (or nearby Zadar) are available from many European cities. The course location: Jelsa on Island Hvar is a sunny island town surrounded by great natural beauty – pristine beaches, fragrant pine forests, and crystal clear sea. Resort Fontana is situated on a pine wood hillside near the sea, in the picturesque town of Jelsa on the Island of Hvar. Beautiful countryside, agreeable climate, numerous cultural and historical monuments, and beautiful beaches will enrich your course experience. The resort consists of small pavilions and all rooms and apartments offer a unique view and a perfect opportunity to relax. In the main building you will find the restaurant and course facilities. Reception is common for the whole resort and is situated on the top of the hill near the main road.